Hello there! I'm so happy you stopped by tonight! 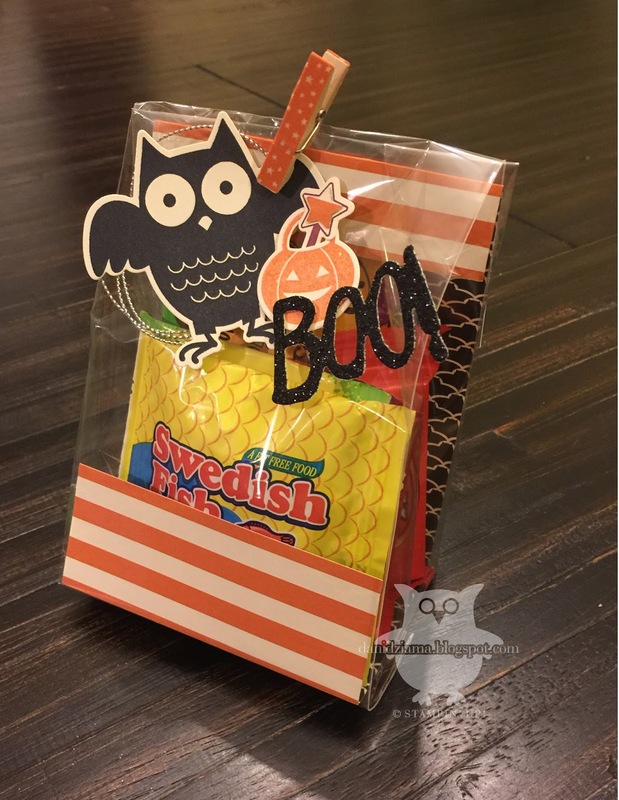 I have an absolutely adorable treat bag to share with you. Best of all- it literally takes LESS than 10 minutes to create AND you only need minimal supplies. These are super cute and would be perfect for a school treat! Do you know what else these little cuties are good for? Thanksgiving place settings. That's what I'll be using mine for! Need supplies to make your own? 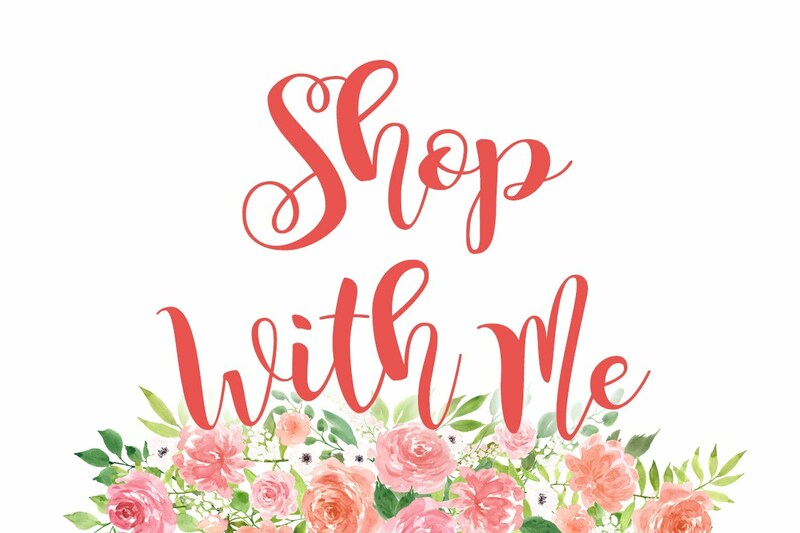 Click on the SHOP WITH ME button on the right sidebar to visit my Stampin' Up! store! 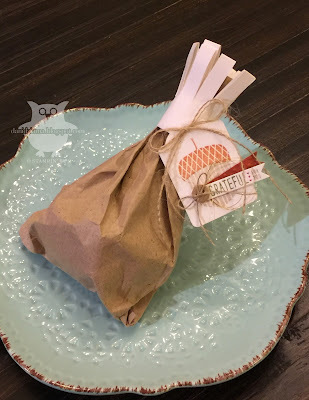 The only supplies you need to create the actual drumstick treat bag are the Kraft Tag-a-bag Gift Bags, Whisper White card stock, Fast Fuse and Paper Snips. Everything else was used to create the tag. Hello there and welcome back for the bi-weekly Monday Montage blog hop. I'm so happy you joined us! 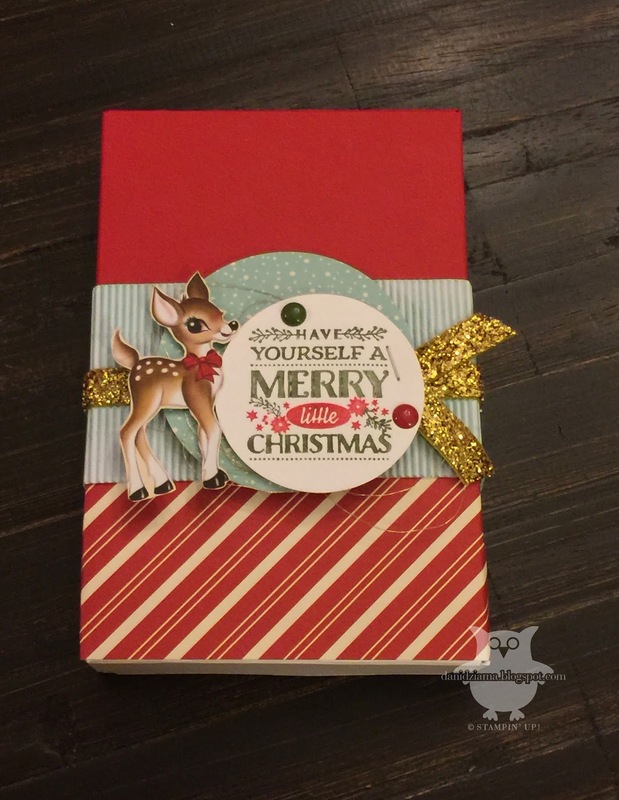 Tonight's project is an adorable little Christmas box and coordinating Christmas card. It's perfectly sized for a stocking stuffer (or two)! I'm loving the Home for Christmas DSP. 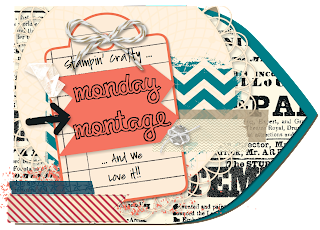 The images are so vintage and sweet! Definitely a must have for the upcoming holiday season! 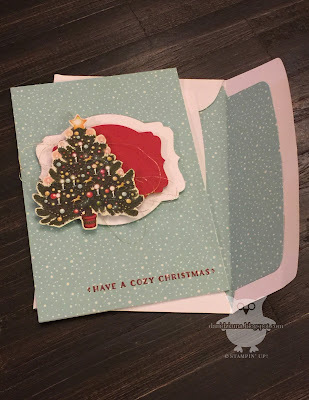 The coordinating Christmas card was also created using the Home for Christmas DSP. This card isn't overly fancy....but it's cute! And guess what?!?!?! The card also fits inside the box perfectly! I hope you've enjoyed my projects for tonight! Please use the links below to visit the other fabulous designers! Love hopping with these ladies! Thanks for stopping by! Hello there! Tonight I'm sharing the alternate 3D project that I made for the Inking Everything Team Facebook blog hop from Monday. 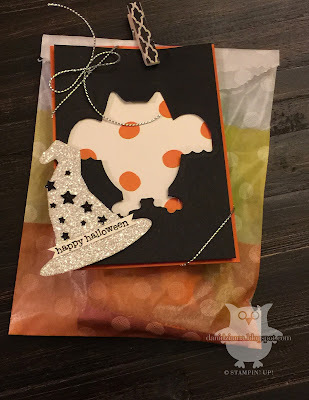 It's another Halloween treat bag. I couldn't decide if I liked this one better or the one that I actually used for the hop. I figured that it would be a shame to not share this one as well! Does anything about the tag look familiar? 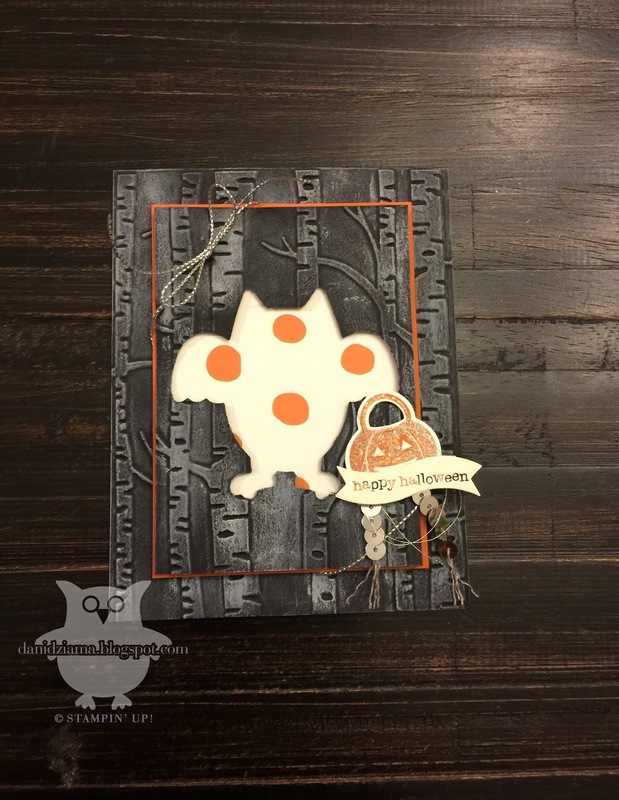 When I first started creating my projects for the blog hop- I had created the owl image above as the focal point for the card. 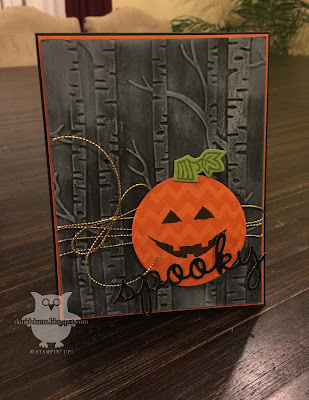 I wasn't happy with how it looked when it was layered on top of the Woodlands embossed card so I made it a tag instead! MUCH better if you ask me! OH and in case you're wondering- there's CHOCOLATE inside the treat bag! I found the cutest Iddy Biddy milk chocolate pumpkins while shopping. I couldn't resist buying them! They were TOO CUTE! Thanks for stopping by! I hope you enjoyed my project! Hello there! 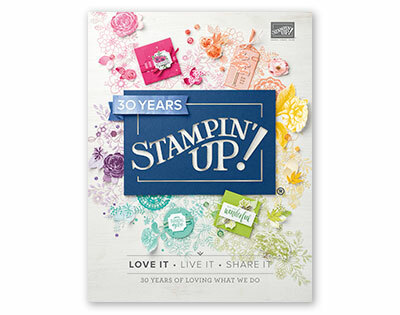 Have you been following the Inking Everything Team Blog hop on Facebook? If not- what are you waiting for? 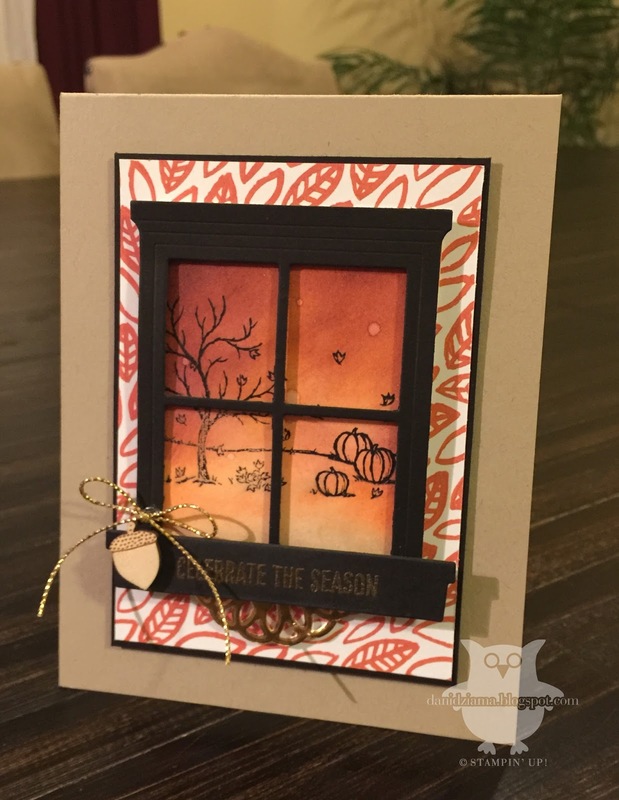 There are TONS of fabulous ideas all from the new Holiday Catalog! 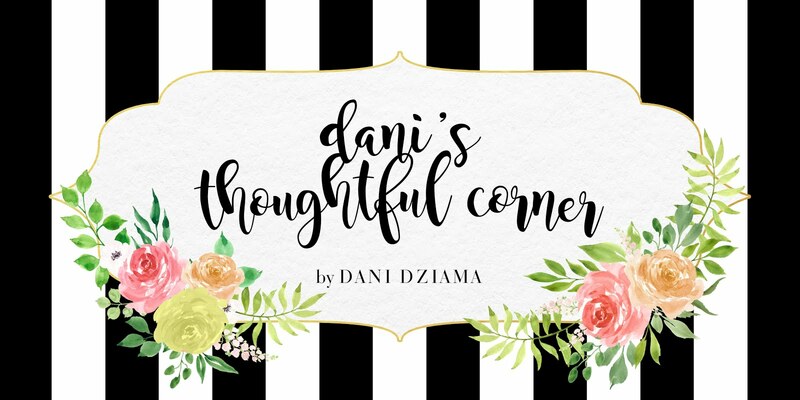 Head on over and give it a peek! 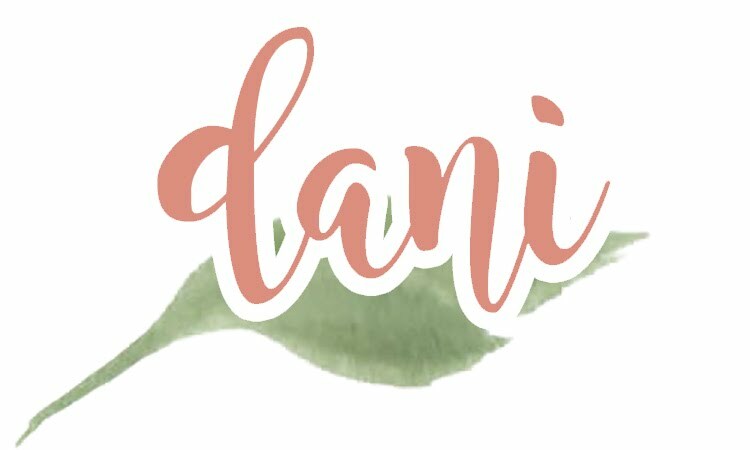 Click this link to head to my FB business page and follow the hop! Thanks for stopping by! 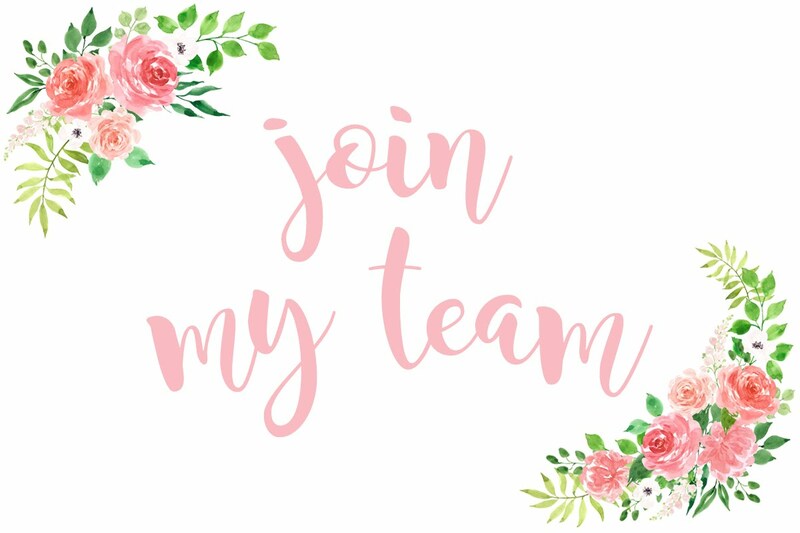 Project details and product lists are on my FB business page! Good evening! Tonight I have some Witching Halloween decor to share with you. 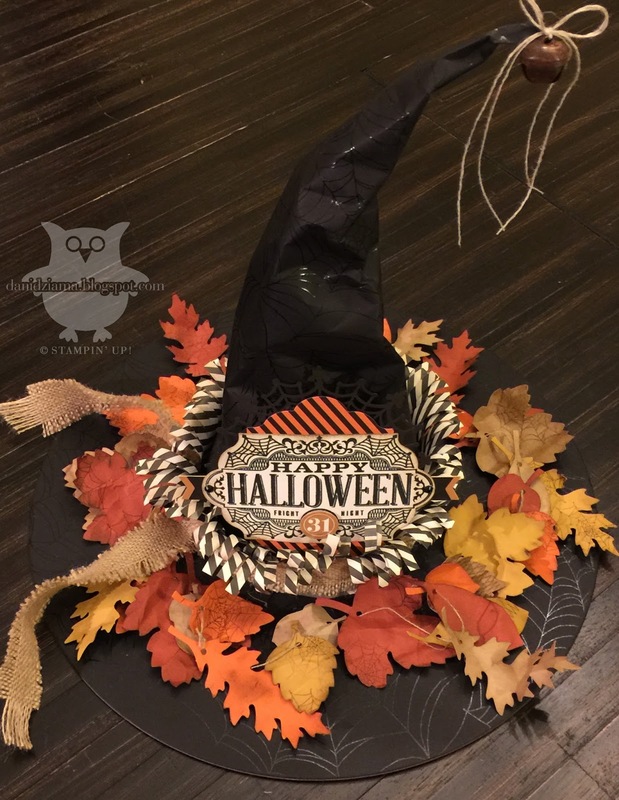 This adorable Witches Hat was created using the Witching Decor kit from the Holiday Catalog. This project is fairly simple to complete but it does require a few hours to put together. Want to create one of your own? I am holding a Witching Decor class on WEDNESDAY 9/23 at 6:00 pm. Class fee is $30 to cover the cost of supplies. You should allow 2 to 2-1/2 hours to complete this project. Email me for more information! Space is limited! Want more information? Just email me! Good morning! Before I'm off to work for the day- I thought I'd share the card I created last night. Since I'm on limited time- I'm not going to say much about it other than the fact that I love it! It's a simple fall-ish card. Thanks for stopping by! Oh! I almost forgot- if you're wondering if you NEED this bundle- Trust me- YOU DO!!! Good evening! I hope everyone has enjoyed their Labor Day holiday and the unofficial end to summer. Sniff sniff. Just saying "end of summer" brings a tear to my eyes! I'm not quite ready for the cooler weather! Are you? While we're on the topic of cooler weather- my favorite holiday is in the Fall. You guessed it! HALLOWEEN!!!!! I'm not really sure why I love Halloween so much... I just do! It's a fun holiday where everyone gets to pretend to be someone/something else. Spooky decorations, costume parties, trick or treating.... The fun is never ending! My projects tonight are both in honor of my favorite holiday. I have created a Halloween card and a little Halloween treat. It's been a while since I spoke of my mason jar obsession but when I happened upon these mini (and I do mean MINI) mason jars, I knew I had to buy them. They measure just 3.5" tall each and are super adorable. 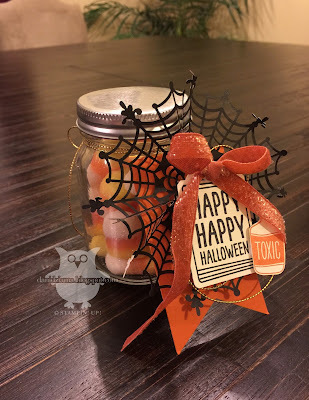 I filled the mason jar with some gummy candy corn treats that I found at Cracker Barrel. At first I was thinking about putting some chocolate inside but I was surprised at the lack of Halloween candy in the department stores. So gummy candy corn it is!